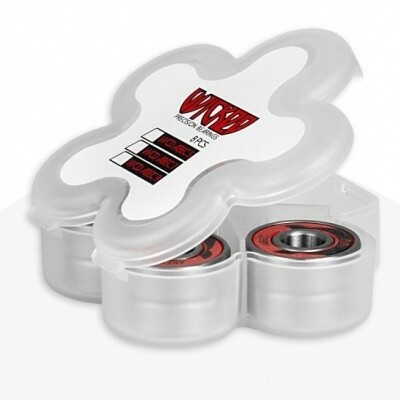 The high-quality bearings from WICKED match the ABEC 7 standard. Their 7 chrome steel balls sit in a cage made of low-friction nylon and are pre-lubricated with a light synthetic oil. Your absolute go-to bearing for any purpose. Set of 8 bearings!! Order 2 sets for rollerskates!